Belinda Carlisle once sung ‘Heaven is a Place on Earth’ and so we can only imagine that she was spending a lot of time in the beach paradise that is Barbados. This Caribbean island, which gained independence from the UK in 1966, is famed for its pristine beaches of which there are more than 80. But away from the sand-coated aesthetic, it has an intriguing story to tell. By 1650, it was the world’s biggest sugar producer, and its people, the Bajans, spoke English with a distinct accent – spiced with words in West African-English pidgin. And, of course, there is the rum. The island is considered the birthplace of the tipple and the Mount Gay distillery – founded in 1703 – is believed to produce the oldest rum in the world. Surely this is one destination more than worthy of raising a glass to? Cruise ships dock at the Bridgetown Cruise Terminal – approximately a mile from the capital city of Bridgetown. It takes roughly 20 minutes to walk from the port to the city centre or it’s a short ride from one of the many local taxis. The terminal has a range of shopping options, including duty free outlets, clothing stores and plenty of places to pick up souvenirs. Local artists and school choirs also entertain guests from time to time, as do steel drum bands. Beaches: Is this cheating? Maybe. But it’s far too difficult to pick just one! 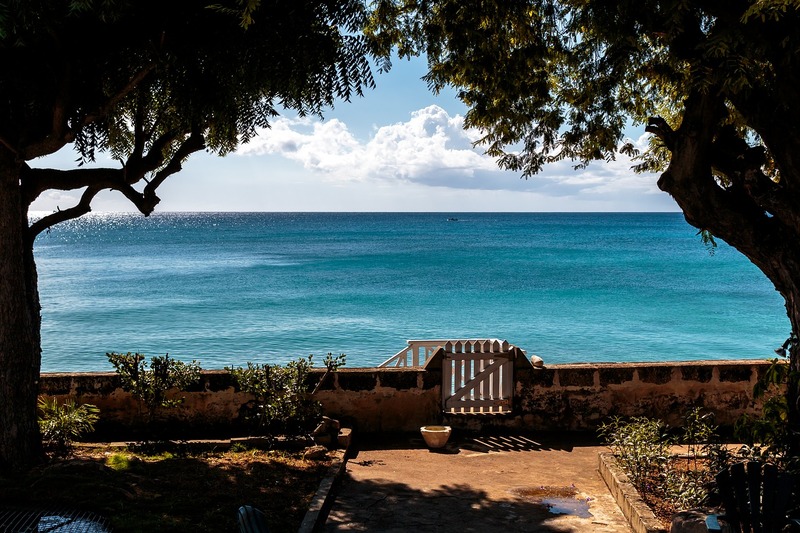 There’s plenty of choice for sun seekers in Barbados – from the thrills of water sports to lounging on the warm sand with a good read – there’s a beach to suit all tastes. A smattering of some of the more popular locations include Mullins Beach on the west coast, Gibbes, also on the west of the island, and Enterprise (or Miami) Beach which is popular among locals. You can’t go too far wrong with any of them really. Historic Bridgetown: The UNESCO-listed Historic Bridgetown and its Garrison have played an important part in Barbadian history. The Bridgetown port was crucial for trade and the transfer of ideas and culture – Barbados was also the first port call for ships undertaking the transatlantic crossing. The Garrison, naturally, was present to ensure the island did not slip from English control. It makes for an educational – and fun! – afternoon out. Harrison’s Cave: One of the island’s most famous natural attractions. This cave is full of stalactites hanging from the roof and stalagmites from the ground. First opened to the public in 1981, Harrison’s Cave is approximately 2.3km long, and tours can last for up to one-to-three hours. Brown Sugar: Get a little taste of everything at this ever-popular all-you-eat buffet restaurant. Perfect for a quick lunch and full of flavour. Lobster Alive: Want some fresh Caribbean seafood? Don’t mind choosing your own lobster at the door? Then Lobster Alive is the perfect restaurant for you! Pink Star Bar: If you don’t mind slumming it with your evening meal then this local favourite is an absolute hoot. Dirt cheap Bajan cuisine in an off-the-beaten track location. Authentic. Cave Shepherd Mall: Want to head straight to the mall and advantage of those tax-free bargains? Head to Cave Shephard Mall. You won’t regret it. Broad Street: This is the main shopping drag of Bridgetown and therefore pretty much the entire island – and it has all the shops and vendors you could hope for. Swan Street: If you want to inject some Bajan fashion sense into your wardrobe then you’ll want to visit Swan Street and its collection of second-hand clothing and shoe shops. Barbados is usually warm year-round – so there’s no need to worry about packing a coat! If you are planning a trip to Central America then you may also be interested in checking out the latest ocean and river cruise news and our most recent Caribbean cruise features.